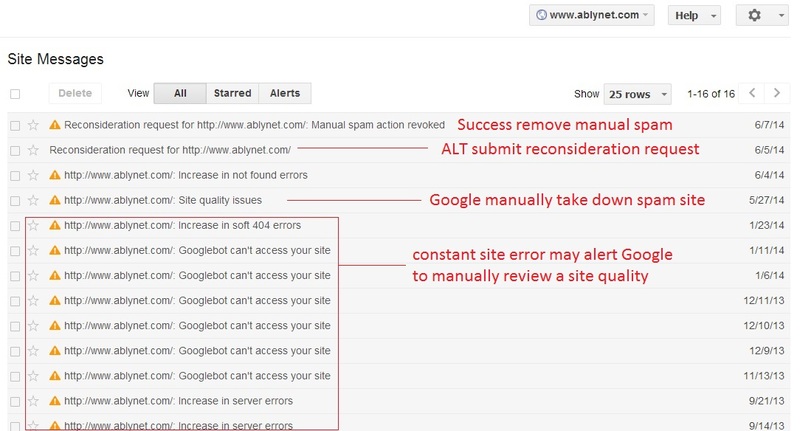 Recently one of our internal projects, ablynet.com was manually penalized by Google. This is serious because the site will not receive any organic traffic from Google. Imagine if this happened to a website that relies heavily on Google traffic, the business may face huge revenue losses or even shutdown. 1. Directly search for the domain name. If nothing is found, it is likely that the domain has been completely removed in search queries. 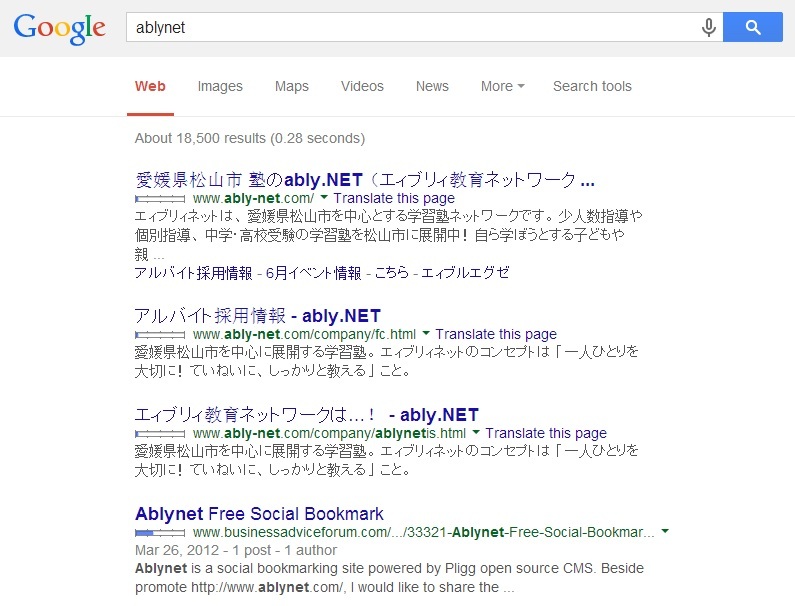 no result found for ablynet. 2. In Analytics, we found a huge drop in traffic, from 3000+ to 800+. 3. Webmaster tool also indicates dramatically drop on both web impression and clicks. 4. Then, oh no!! 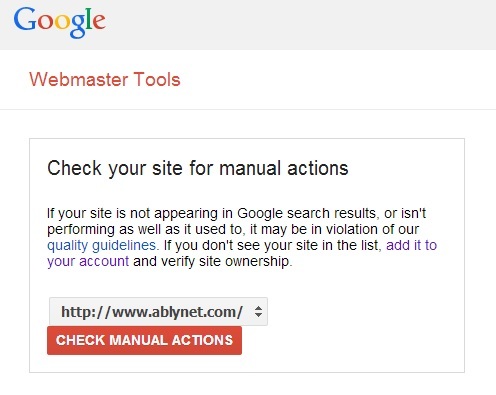 We checked and found this Webmaster Tools notification:- http://www.ablynet.com/: Site quality issues. Google has detected that some of your pages may be using techniques that are outside our Webmaster Guidelines. 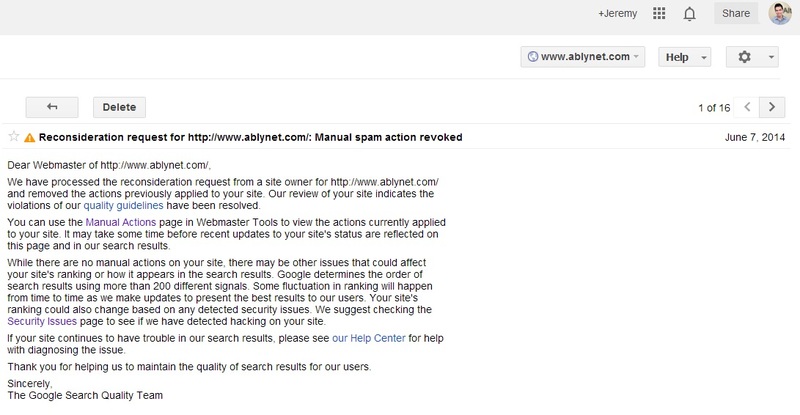 The site has pure spam and as a result, Google applied a manual spam action to ablynet.com/. There may be other actions on your site or parts of your site. Recommended action: Update your site so that it meets Google’s Webmaster Guidelines. Once you’ve made these changes, submit a reconsideration request. 1. Once we identified the problem, we quickly took the necessary action, shut down ablynet.com and created all new content. We told Google that we have taken action against the spam site, and sent the following message in Webmaster Tools. 3. We immediately received a response from Google, notifying us that they will review our request. 4. Two days later, we finally received confirmation that the manual spam action was revoked. 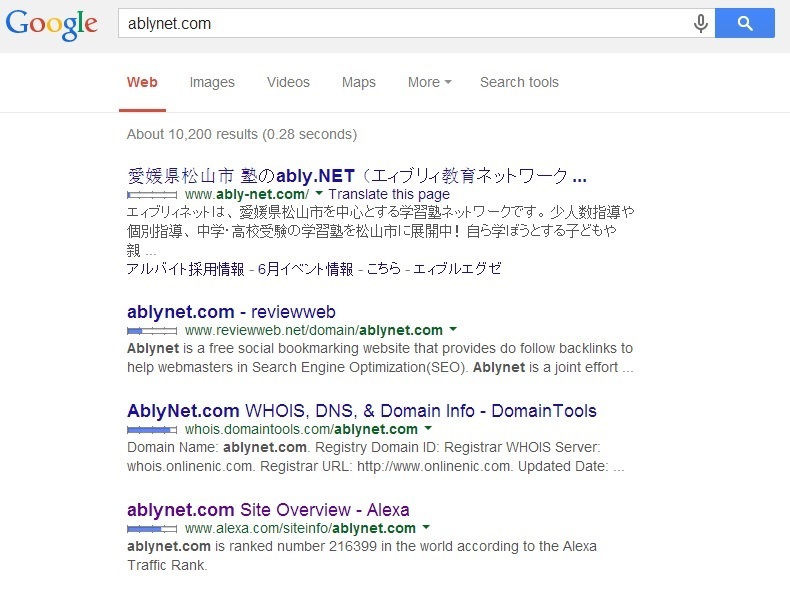 After all that, ablynet.com‘s traffic has still not recovered and none of the results are found in Google. As per a Webmaster Tools message, while there are no manual actions on your site, there may be other issues that could affect your site’s ranking or how it appears in the search results. Google determines the order of search results using more than 200 different signals. 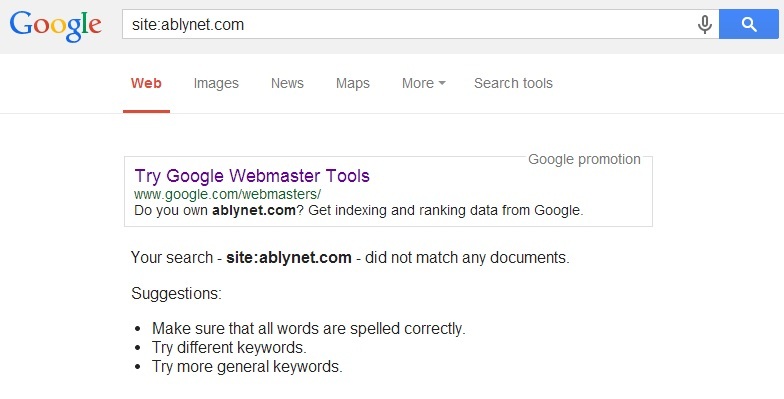 We guess ablynet.com is in the sandbox again, and it will take time for Google algorithms to reevaluate and reposition the ranking. We will do a follow up post on the traffic recovery process soon.